Born and raised in Melbourne, Australia, Tristan Rogers originally wanted to go to school for engineering, but his parents sent him to private school instead. After playing drums and singing for a pop band after finishing school, Rogers decided to follow his other passion: acting. He began his acting career in stuntman roles and even took backstage jobs just to stay around the entertainment world. Rogers landed his first starring role in 1969 on an Australian television show called THE LINK MEN, which only lasted 10 episodes. Following the show’s failure, Rogers moved to England, where he found success as a fashion model. He eventually decided to return to acting and moved to the United States, where he auditioned for the role of Robert Scorpio on GENERAL HOSPITAL. Rogers initially tried to use an American accent, but executive producer Gloria Monty told him the only accent he could use was his own! Rogers found fame as Robert Scorpio and stayed on the show until 1992, when he decided to pursue other ventures. He then began to work as a producer and formed Blackwater Entertainment. In 2006, Rogers returned to GENERAL HOSPITAL with several of his co-stars from the 80s in a major storyline involving a hospital epidemic. After making several small appearances on the show, Rogers joined the cast of GENERAL HOSPITAL: NIGHT SHIFT in its second season. During his time on GH, Rogers won the 1981 Soapy Award for Most Exciting New Actor, and was nominated for two Soap Opera Digest Awards. In 2010, Rogers joined Y&R as Cane’s father, Colin. 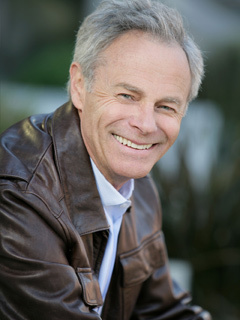 His official Web site is www.tristanrogers.com. Is a naturalized U.S. citizen. Decided to shave his head for his cancer storyline on GH: NIGHT SHIFT. Was a member of Liza Minnelli and David Gest's wedding party in 2002. The role of GH's Robert Scorpio was originally a three-day job. Other Than A Daytime Emmy, Which Award Would You Want To Win And Why?